Russia could increase supplies of arms to Iran if Washington decides on military intervention in Syria, the head of the lower house's committee on international relations, Alexei Pushkov, told parliament on Wednesday. "If the 'party of war' prevails in the United States... then I consider it absolutely justified to suggest considering more serious measures by Russia, including broadening of supplies of defensive weapons to Iran," Pushkov was quoted as saying by Interfax. Apparently the Russians are signaling significant military support to Syria and the Islamic Republic of Iran, particularly with air defense arms deliveries, in the event of a U.S.-led strike on Syria; effectively upping the ante in ongoing diplomatic efforts directed towards the Syrian conflict at the United Nations Security Council. 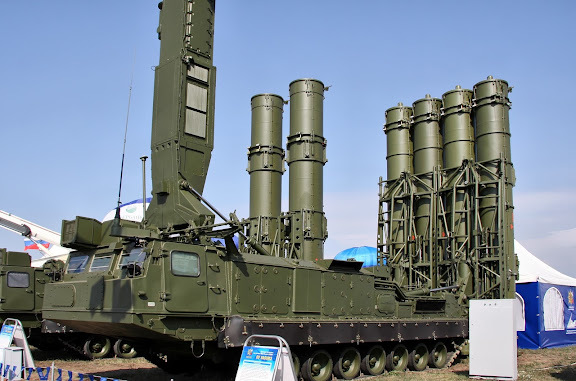 More effective Russian air defense and anti-shipping weapons supplied to Syria and Iran offer the unpleasant potential of increased risk to any U.S.-led strike on Syria and/or Iran. NOW THEY ARE GOING TO ORDER A NUKE PLANT FOR SOME HUNDERTS BILLIONS AND S300V SYSTEM FOR 7-8 BILLIONS $.